Here it is, the easy part, I am going to select one file, let`s say the first one DSC01 and I am going to ``Rename`` the file from DSC01 to SummerTrip and take a look at my results, I`ve managed to rename all files from DSC to SummerTrip and Windows was smart enough to add the numbers at the end. After I did this, I will see the content of that folder inside of this software, all of them arranged by filename. Don`t rush to hit the ``Go`` button, there is still one thing to do before doing this. Click on the second button called ``Actions`` and from all these options choose the second one called ``String Replacement``. On the right side, you will need to replace whatever it writes there with the name of your files, for example if my files are starting with DSC I will write there DSC and I will choose to ``Replace by`` and I will write the new desired name, in this case: SummerTrip. After I did this, all I need to do is to hit the ``Go`` button and this it, if I open the ``New Folder`` containing my files all of my files should be renamed. Ant Renamer can help you with a lot of tricks. It can manipulate and change files in multiple different ways. If you can understand how ``Actions`` works you will be able to perform a lot of things. The developer Antoine Potten, was kind enough to share one of the most ``confusing actions``. I could not explain this action without his help so thanks a lot. According to Antoine, it seems to be the ``Enumeration`` action. At first sight it may look confusing, but it took me just a little to get used to it. Once I have this changed ( if you didn`t already ) I will open the files. 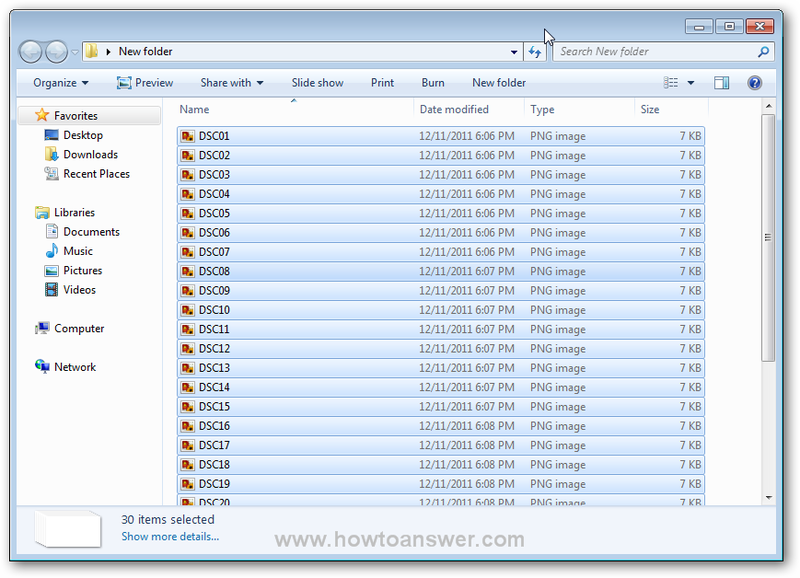 I will click on ``Add files`` button and then browse to the folder that contains my files and select them. I could also use ``Add folder...`` but it was easier for me. After selection of files, I will be redirected back to the main program interface. You can even obtain a preview of how the files will change after this action. On the left corner ( down ) you have a feature named ``Preview of selected file``. There is one more thing. If you want to have 0-padding added to the numbers you can set the number of digits to a higher value. If I will set this to number 5 the names of files will change from "MyCoolScreenshot1.jpeg" to "MyCoolScreenshot00001.jpeg". I have highlighted the change in the following image. If everything looks as I wanted all I need to do is to click on ``Go`` button and the program will process all the files. Take a look at what happened after I hit the ``Go`` button. Ant Renamer, renamed and changed the extension of all files. I have included both versions with 1 and 5 digits. The first example is with 5 digits results. Here is the second example, if I wanted to keep only 1 number - the results would be a little different now. That`s exactly what I wanted to do! If you need to rename all kind of files and folders in Windows, Ant Renamer is the perfect batch-rename utility. Just remember one thing, make sure to back-up your files before changing them, just in case something goes wrong.